COQUITLAM, B.C. - The NDP is promising to bring in a universal and comprehensive national pharmacare program targeted to begin in 2020 if the party wins the next federal election. “This is a bold plan, it's going to take some courage. It's going to take us standing up to pharmaceutical industries and insurance companies who don't want us to bring this plan in, but we know this plan will work,” Singh said. The plan would see every Canadian covered for a list of prescription drugs determined by an arm's-length group of experts that it said would be protected from industry and political pressure. The agency would evaluate drugs for coverage based on what is scientifically proven to be safe and effective, and on the best value for money, the party said. It would save families who don't currently have private drug coverage an average $550 per year and it would save employers about $600 per employee with extended health benefits, the party said. Medications covered under the formulary would always have at least one option involving no upfront cost, in a move intended to nearly eliminate the co-payment system that the party said is a barrier to access. If there is a generic drug available but an individual chooses a brand name instead, there would be a $5 co-payment with exemptions for vulnerable populations. It's time to make medication available to all Canadians who need it, Singh said. “We can't afford not to do this at this point, given how difficult it is for so many people to get the medication they need,” he said. Davies, who represents Vancouver Kingsway, said the cost to provinces will be about the same as they are paying now. It would cost the federal government an additional $10 billion annually on top of what the provinces already pay but Singh said it's worth it, pointing to overall cost saving identified in an analysis by the parliamentary budget officer. The report says the total cost of a national pharmacare program would be $23.7 billion in 2020, representing a $4.2 billion savings each year over the current amount being spent on drugs in Canada. The federal government taxes 50 per cent of profits made on investments, or capital gains, but the NDP wants to increase that threshold - known as the inclusion rate - to 75 per cent. It said that would raise about $3 billion in revenue. 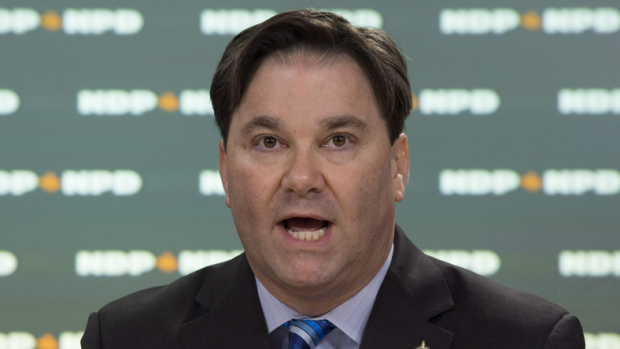 “The Liberal government is proposing to bring in a U.S.-style patchwork system that's only going to increase the premiums families pay,” he said. 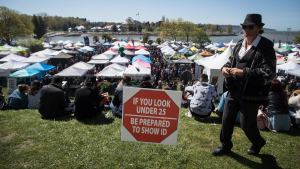 In its budget last month, the Liberal government said Canada's pastiche of drug coverage, which comprises more than 100 public programs and 100,000 private insurance plans, is not well equipped to handle the increasingly expensive drugs now coming to market.